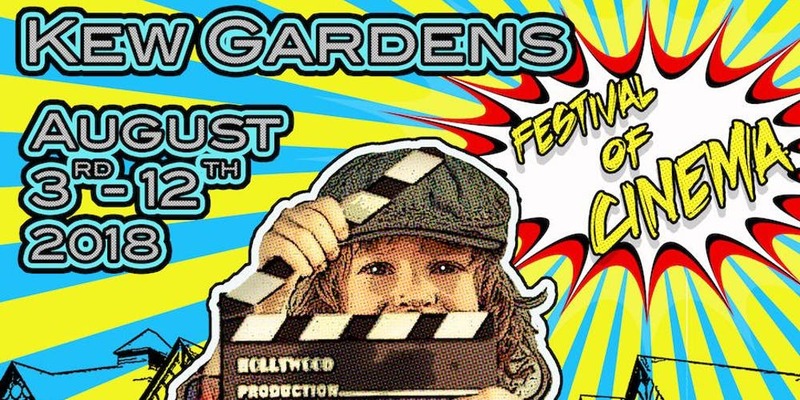 The second annual Kew Gardens Festival of Cinema starts this week and it looks to be a blast. Taking place in Kew Gardens proper and at the Queens Museum the festival is 10 days of cinematic goodies that has something to delight everyone. Go here and look things over and buy some tickets. US, FOREVER AGO - I am in love with this film. A narrative/documentary hybrid the film becomes something else entirely. Heralding the arrival of Irina Varina it blew my mind and then some. One of the best films of the festival and maybe 2018. Highly recommended. MURDER MADE EASY is an absolute blast of a film. It begins with a dinner among friends and then turns deadly. I saw this earlier this year and I have been recommending it ever since. A great great film one of the best films you'll see all year. NOTHING CHANGES:ART FOR HANK’S SAKE is a great portrait of man who lives for art. Well past the age most people have retired, goes every day into his studio overlooking Union Square Park in NYC. This is a great portrait of the need to create. INTO THE VALLI is a heavy drama about a Frankie Valli impersonator whose personal life begins to crumble. Its a killer. CHASING SUNSHINE is a sweet comedy that you have to see at the festival. An amusing tale of two friends on a scavenger hunt so one can find secret admirer, it is probably going to get lost once off the festival circuit because it’s brief run time is going to keep it off many people’s radar. That shouldn’t happen because it’s a lovely film. See it and then then help spread the word. Those are just some of the films playing, there are plenty more so go buy tickets and see something. The festival website is can be found here.